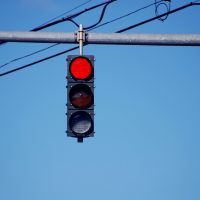 The New Red Light Camera Regulations: What You Need to Know | Yavitch & Palmer Co., L.P.A. As you’re driving down the road, you realize that you’re running late for work. At the upcoming intersection, the light turns yellow, but you’re pretty sure you can make it in time. As you head through, a brief glimmer of light catches your eye, but you write it off as a reflection. A few weeks later, an ominous envelope appears in your mailbox. After opening it, you’re stunned to discover a picture of your vehicle and a ticket for running a red light. Red light cameras interface with traffic lights at intersections, and are designed to go off when a vehicle passes through its field of view after the light has turned red. Supporters of these devices believe that they have made the roads safer, and have provided municipalities with large sums of money. However, last summer, a bill was proposed that was aimed at legislating new red-light traffic camera laws. Opponents of the cameras felt that they violated due process, since people who are ‘caught’ are immediately issued a ticket rather than being able to defend themselves. Additionally, they aren’t 100 percent accurate, and will sometimes take a photo of the vehicle preceding or proceeding the actual lawbreaker. This past December, the bill passed, and will go into effect in late March. What does the new bill mean for Ohio drivers? The new law requires any city that issues tickets via traffic cameras to have a police officer stationed alongside the corresponding traffic signal. Many cities are arguing that this will essentially end the use of these devices, since paying an officer to monitor every intersection equipped with a red light camera outweighs the revenue they receive from issuing the tickets. This means that Ohio drivers may no longer have to fear being issued a ticket and having little to no legal recourse. You may think that fighting a traffic violation on your own is easy if you truly did nothing wrong. However, unless you know your way around a courtroom, you’ll more than likely end up on the wrong side of a verdict, even if you have reasonable evidence. That’s why, if you’re going to fight your traffic violation, you need a professional, qualified Columbus criminal defense attorney from Yavitch & Palmer. We have years of experience when it comes to helping our clients fight unjust tickets and traffic violation charges, and we’ll analyze every aspect of your case to get your charges dismissed.